Back bending has an amazing uplifting effect on us - mentally, physically and emotionally. It often brings up strong emotions when practiced regularly. In this workshop you will learn the techniques of how to “build” your back bends, protecting your back and other body parts by stabilising your lower body with the help of the bandhas, props and proper alignment. We will start by looking at the stages of a simple back bend - opening the upper, middle and lower back, and mobilising and opening the shoulders. Routing through the feet, legs, hips and bandhas helps access and open the whole spine, while supporting us in back bending. People often associate lower back pain with back bending. This is often caused by weak imbalances in the integral stabilising muscle groups, such as the quadriceps, psosas and the hip flexors. We will explore these muscles and show you how to strengthen them, explain their function, and how they can take care of the support of your back to prevent injury. We will work through a progression of poses to help different body types, so you can adapt poses to suit you. There will be hands-on adjustments to help you into the poses safely. Time for you too ask questions, and of course lots of laughs!! 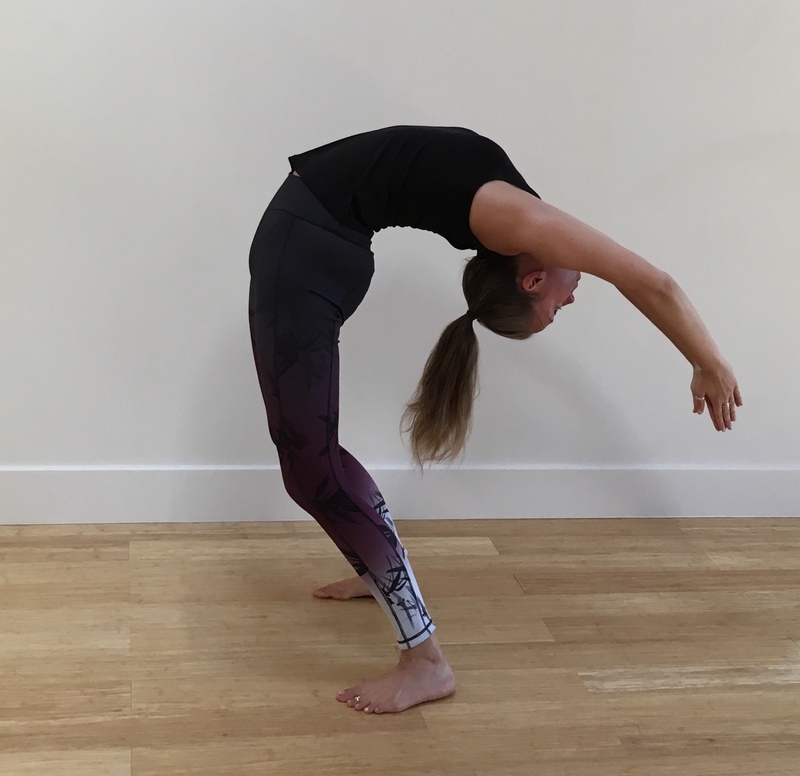 Whatever your level of mobility or experience, this workshop will give you a strong foundation from which to explore backbends safely and confidently, as you build the knowledge to deepen and advance your backbends in a safe and supported environment.